Now, weren't those cards (#1-4) adorable? I can tell you that I made all 8 of these cards in about two hours. That's right -- that's about one every 15 minutes. 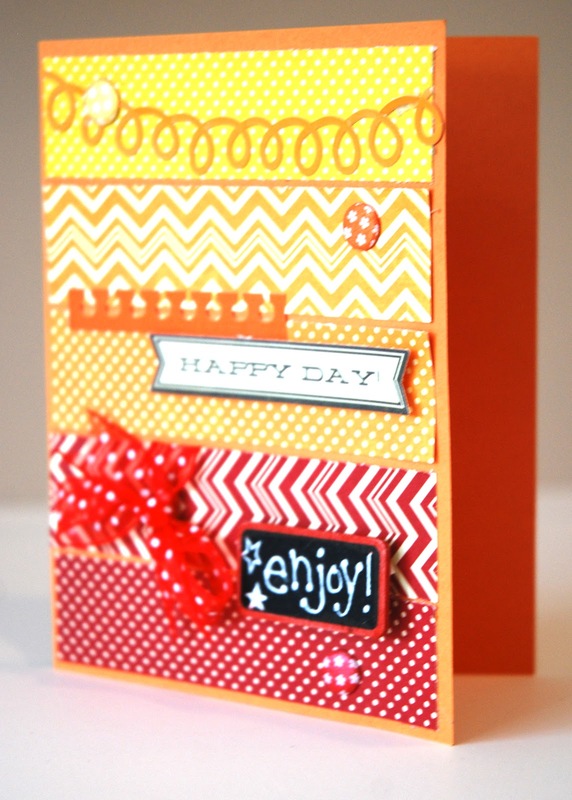 Wouldn't a card kit be perfect to take to a crop? 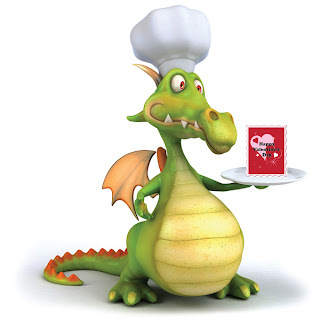 I stamped the inside with "You're Unfroggetable!" red Copic marker. Because I wanted it to lay flatter, I removed the clip. I also added my own button because I like it! imagine this vellum envelope (supplied) with a gift card! and I used the "official" Candi mounting squares. 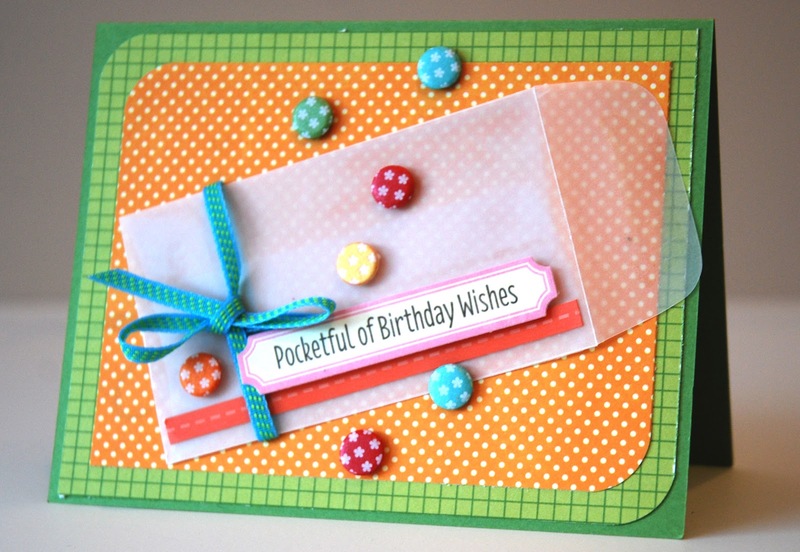 I love this embellishment! Again, these cards were all made with "The Card Kitchen" September 2012, following the recipes provided in very detailed (excellent!) instructions. I save these instructions month-after-month, to use again as sketch templates for other cards/papers -- yes, they're that good! For me, the real advantage to using a kit that provides full sheets of paper for you to cut, along with full sheets of stickers and perhaps stamps to re-use is that you can easily make another 6 to 8 cards from the leftover ingredients. And by subscribing, you can often use some papers and embellishments left over from last month with this month -- they're all coordinated! 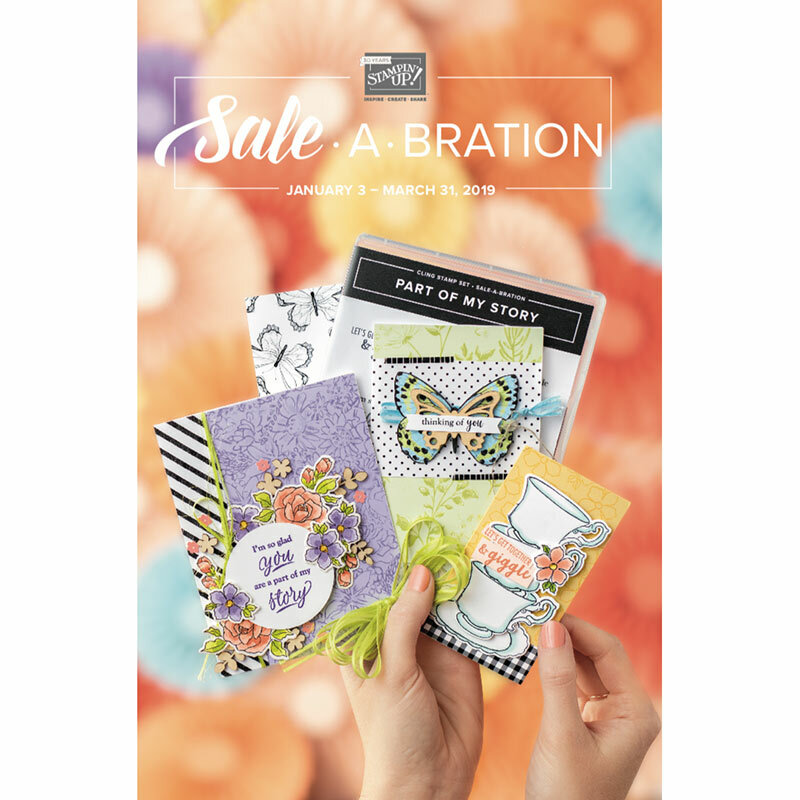 Most of the papers included in The Card Kitchen kit are made the Jillibean Soup line, which I have found are vibrant, top quality printing, and with wonderful designs. 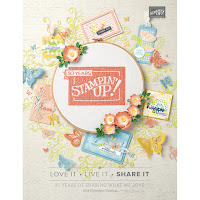 However, Jill and Kimber don't hesitate to use complementing papers too ... for instance, this month's kit also included paper from Bella Boulevard, another great line of paper. The embellishments are often Jillibean Soup-branded, but again, can include ribbons, buttons, trim, stickers, etc. that are from other top manufacturers. This gives you a chance to try out these brands to see which you might enjoy. 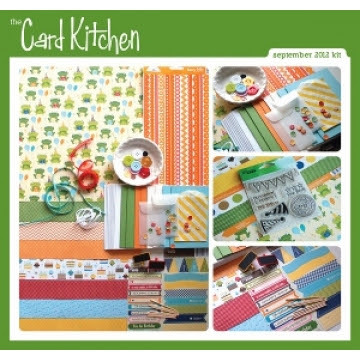 The Card Kitchen kits are reliably sent in the first week of each month to their subscribers, after you make payment (via credit card or PayPal) of the monthly invoice -- easy-peasy! Disclaimer: I purchase my monthly subscription to The Card Kitchen, and have not been compensated in any way to provide this endorsement. My opinions are my own. I made these cards closely following the detailed designs of TCK, and do not represent these designs to be my own. 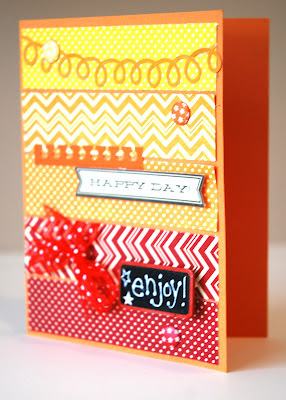 Later this week, I'll show you another type of card kit -- one by Shanna Vineyard at "Art Made With Heart". 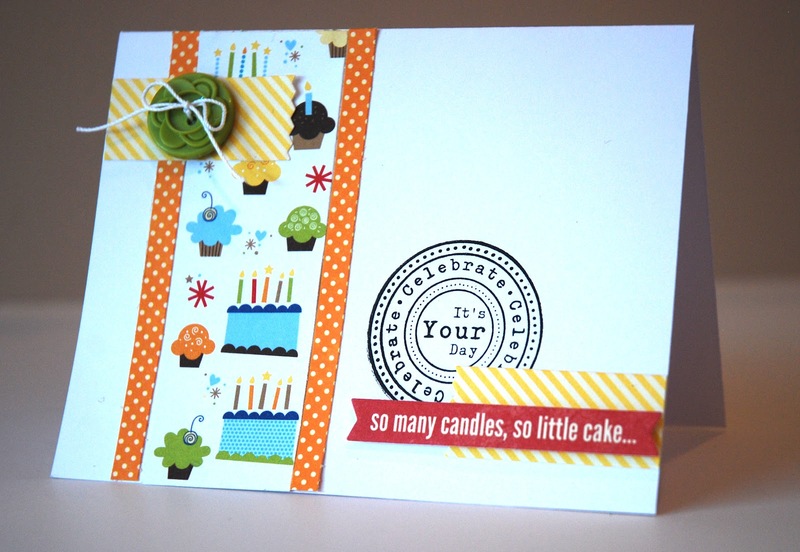 Shanna's monthly kit provides all of the ingredients for 5 cards, pre-cut and ready for your glue! Stay tuned! I don't know how I missed these, they are so stinkin' cute! Oh my....I just love these! 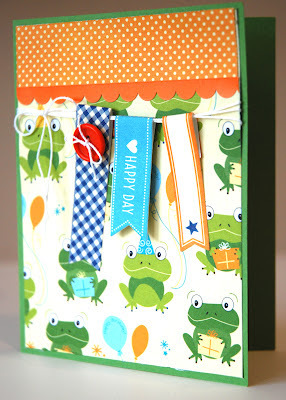 The fun colors and super adorable designs just can't help but make me smile! Love you how you used the buttons and brads! I'm going to PIN some of these!